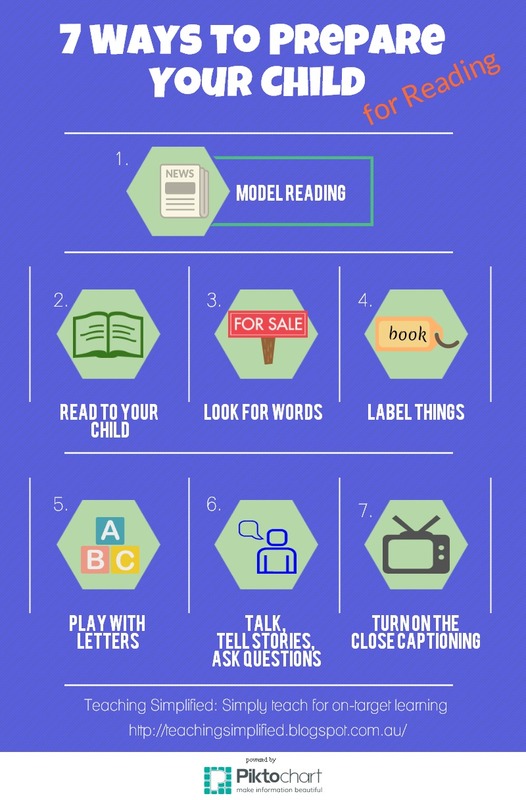 Before you begin to teach your child to read, you first need to lay a foundation in order to pave the way for reading success. Start preparing your child for reading early so that when he or she is ready to learn to read, he or she will be eager and excited. Parents, you yourself need to read and model this to your child. You must be seen reading every day. Your child looks up to you so when he or she sees that you value reading they will want to copy you. You don’t need to read a novel every day. There are other things that you could read, such as magazines, cookbooks, letters and brochures. However, in this era of electronic reading, we tend to read more from our computers, smart phones and tablets than from traditional paper versions. Keep in mind, though, that children also tend to associate playing rather than reading with electronic gadgets. So if you are reading off an electronic device make sure that your child knows that you are reading and not playing games, shopping or scrolling through websites. You can start reading even when your child is still a baby. There are fabric baby books that contain bright colors and tend to be interactive as well. Your baby can pull things, scrunch it up and chew on it. At this stage, your baby is exploring the book. As he or she is exploring, you can talk to your baby about what he is doing to the book. He may not understand but this is how he picks up language. As your baby gets older, you can start reading board books that label things such as colors, animals or toys. Just point and say what it is. You could expand on it and give a commentary as well. When your child is about 3 years old you can progress to picture books. Start with a simple short story then as she gets older, you can read the longer stories. Always remember that when you are reading to your child, to put him on your lap. Children love sitting in their parent’s lap and listening to a story. It provides a comfortable and safe place for them to develop fond memories and a love of reading. Words are all around us, from street signs to billboards and buildings, so raise your child’s awareness of these environmental prints by pointing them out. You could say, “That sign reads one way, which means that we can only go this way.” By explaining it, you help your child to understand what the words mean. You can also have fun with environmental print. If you are walking or driving down the street with your child, you can play a game of being the first to spot a certain word or street sign. Start with an easy sign such as the stop sign. This sign is easily recognizable with its hexagonal red shape. Tell your child that the word inside the red shape says “Stop” and explain that it means that whenever anyone see that sign they have to stop their car. As you walk or drive around see who will be the first to see the next stop sign. Once your child has learnt the stop sign you can choose another sign. Just make sure the sign contains words. Just like the print in the streets, you’d want to have print in your house as well. Write or type out words to label the things in and around the house. You can label your furniture and garden. It really depends on which words you want to familiarize your child with. These labels are easily ‘read’ by your child as they are attached to a piece of furniture. So the back of a chair would have the label ‘chair’. And just like you would read street signs, you’d want to read these labels to your child. Refer to these words often otherwise it will blend into the decoration and furniture and your child won't notice them anymore. When your child goes pass a label you could ask what it says. An important label for your child to learn is his name. Write his name on his books, bag and some toys. Let him have a name tag that he could wear whenever he wants. Introduce letters to your child by letting her play with magnetic letters. Start with the lower cases first. Your child will have fun moving the letters around on a magnetic board or easel. Children love play dough so provide your child with some play dough and letter cutters. Show him how to use a rolling pin to flatten the dough and roll it out. Then show him how to use the letter cutters to cut out letters. Painting is another activity that children love. You can get sponge letters that can be dipped into the paint and pressed onto paper to make a letter print. At this stage, you’re only familiarizing your child with the letters of the alphabet so there’s no pressure to learn the name or sound of each one. If your child is interested and asks then by all means tell her what the letter is. Always talk to your child as early as day 1 when she is born (even before this as your child recognizes your voice while in vivo). Talking to your child will help her develop language skills. She will be able to pick up words faster and be able to communicate verbally with you earlier. The more words she knows the more she will understand. This will help with reading comprehension later on. When you run out of things to say, tell stories. Children love listening to stories both orally and from book readings. You can retell traditional stories or make up your own with your child as the central character. The more she feels enraptured by these stories the more she’d want to read and write to discover her own stories. Asking questions will teach your child to be curious and to think about what has just been said. This too will aid in reading comprehension. When you put on the English subtitles while watching TV, your child will soon notice that every time a certain word is said the same text will pop up. This is one way your child will learn sight words. How fast he memorizes the words depends on how observant he is and how often he watches TV. This does not mean that he’s allowed to sit in front of the TV for hours on end watching anything. You’d still need to limit watching with appropriate programs. 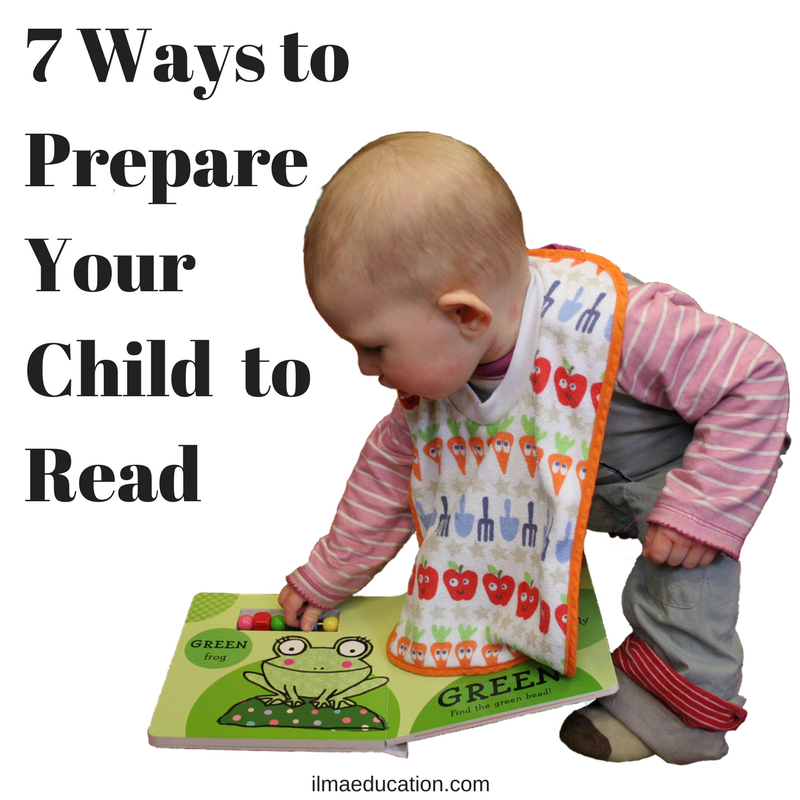 These are the seven ways to prepare your young child for reading. In my next article, you will discover the seven ways to support your child’s reading development.